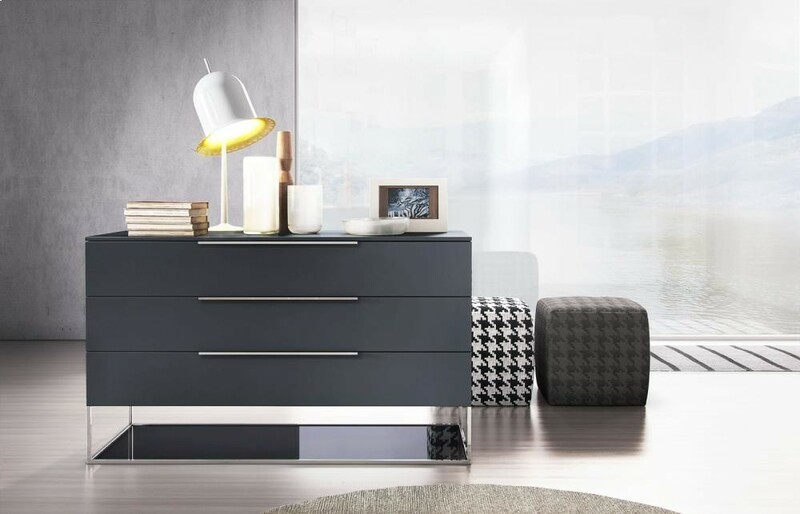 The Bowery dresser is an unabashedly bold addition to your urban haven. 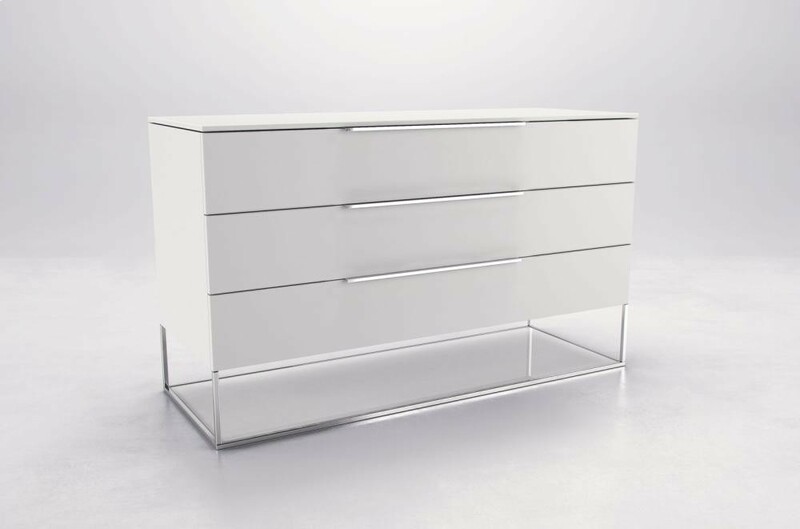 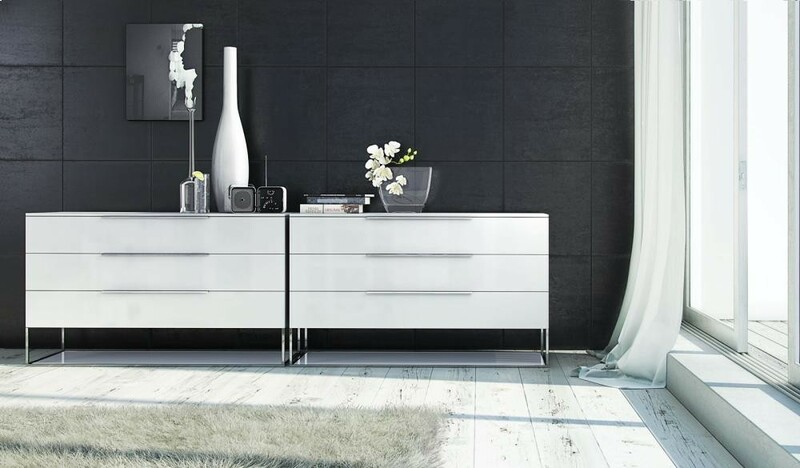 This wide three-drawer dresser features radiant polished steel accents, including handles and frame, as well as a matching painted glass bottom. 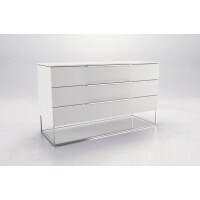 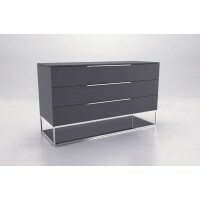 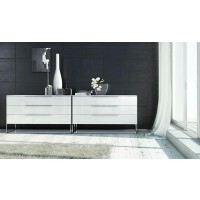 Drawers feature European soft-closing glides and elegant linen lining. 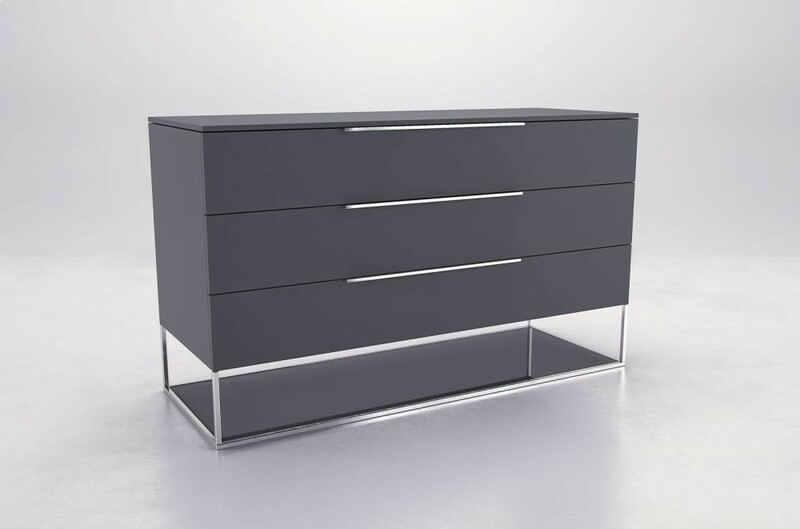 Finished in matte lacquer color options, this piece coordinates with the Bowery nightstand.